All our products are manufactured in Spain, in Bera de Bidasoa (Navarra), where we have large pavilions classified according to the different activities involved in the process of our goods manufacturing and where the more than 60 people working for Alco are able to develop daily tasks: cutting area for wooden boards and fabrics, manufacturing and assembly workshop, injection, warehouse and offices. This is where we create and develop all the design and manufacturing processes of our products: from the choice of textiles and fabrics to the final packaging to send the products to their final destination. In Alco we act locally but we like to think global, and thanks to our geographical position and the effort of our entire team we sell both in the national and international markets. On top of this, our customer service department will always assist you at its best so we invite you to try our products, we are confident that you will be fully satisfied. 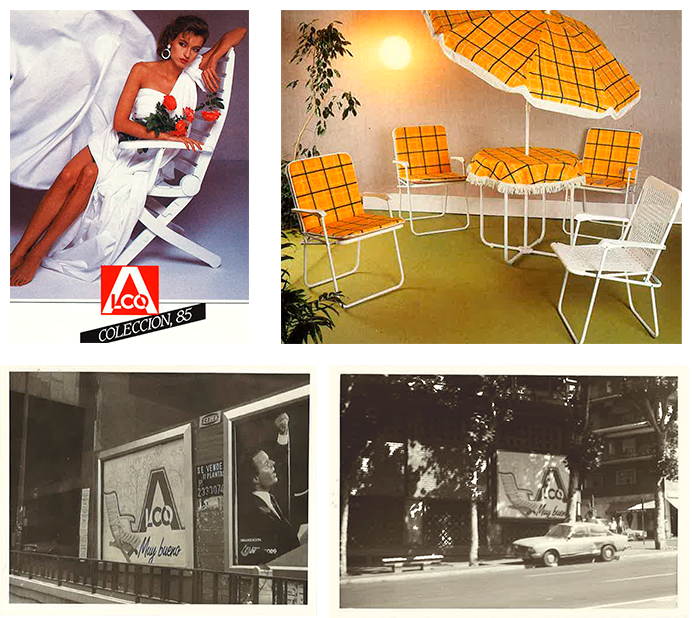 Look for ALCO label in your closest supermarket, department store or pop store and enjoy a wonderful day outdoors! We are more than 50 years old! In Alco we manufacture garden, camping and beach furniture, as well as swings for the little ones. With more than 50 years of experience, we can say that we are a consolidated company focused on creating quality products.